318th day of the year. There were then 47 days left in 2018.
on the 46th week of 2018 (using US standard week number calculation). 54th day of Fall. There were 37 days left till Winter. 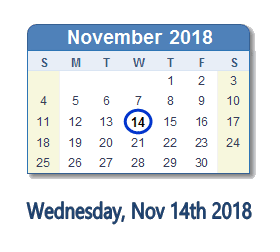 What happened on November 14th 2018? France fires back at Trump's lack of "common decency"